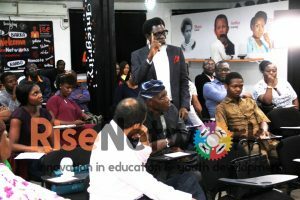 Rise Networks, Nigeria’s Leading Social Enterprise, whose mandate is focused on using Tech Innovation to create Job opportunities and learning grounds for the inclusive growth of Youth brought together experts on Renewable Energy from all over the world, on Saturday the 6th of April, 2019, in Lagos, Nigeria, for the Rise Networks’ Monthly Speaker Series which had participants from all walks of life. Adesola Alli, Head of renewable energy for Sterling bank and Vera Nwanze, General Manager West Africa at Azuri Power while Ifeoma Malo, Founder of clean technology hub was Moderator. 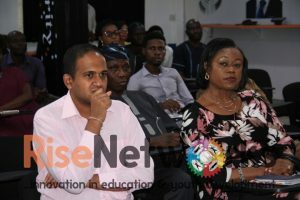 Top Energy Professionals like Rahul Srinivasan, Energy Specialist at the World Bank Headquarters in Washington DC and Mr. Segun Adaju, Chairman of the Renewable Energy Association of Nigeria were also present. 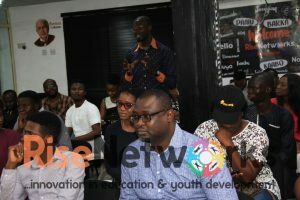 The purpose of this Event was to teach young people about world class solutions and new models of intervention in the energy sector and deliberate on ways Nigeria can leverage innovation to deliver electricity to underserved/rural communities in Nigeria. The importance of Public/Private Partnerships in effectively tackling energy poverty in the country were also extensively discussed. The event also explored the opportunities available for young innovators in Africa to collaborate on solving the Continent & Energy Crisis and drive Industrialization that can create Jobs for Youth. 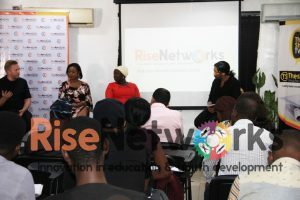 You can register to attend the next Rise Networks Monthly Speaker Series too – visit risenetworks.org.